Democratic Institutions Minister Maryam Monsef is vowing to reduce the impact of money on federal politics amid new evidence that advocacy groups are becoming much more active in trying to influence the outcome of elections. Financial reports filed with Elections Canada by so-called third parties show 104 groups, primarily labour unions, spent just over $6 million during last fall's marathon campaign. That's more than twice the number of groups that were involved in the 2011 federal election and almost five times more money. And that doesn't include any money spent in the months before the election was called, during which political spending was not regulated. In a statement to The Canadian Press, Monsef vowed: "We will ensure that spending rules — both during and between elections — are in keeping with our democratic commitment to make voters, not dollars, determine the outcome of elections." A controversial overhaul of election rules in 2014 by the previous Conservative government allows political parties, their candidates and third parties to increase their spending limits by 1/37th for every day a campaign exceeds the minimum length of 37 days. While modern campaigns, including the 2011 campaign, have typically stuck close to the minimum length, former prime minister Stephen Harper chose to make the last campaign a marathon of 78 days. 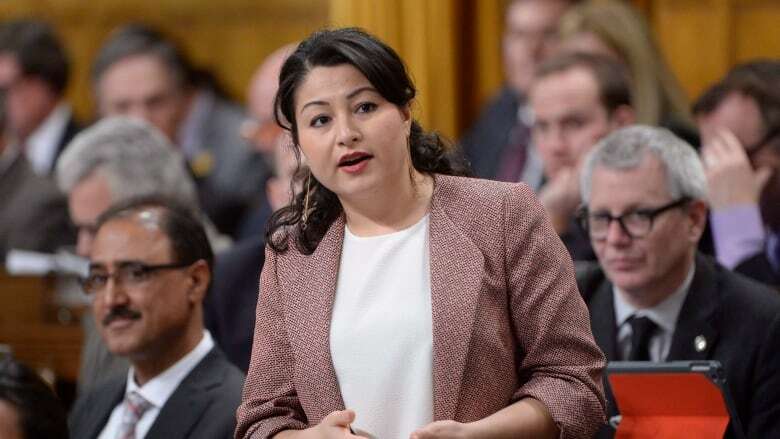 That made the 2015 campaign "one of the longest in Canadian history" and resulted in "significant increases in the spending limits of political entities," Monsef noted. Monsef's statement and her reference to "political entities" appears to go further than the Liberal election platform, which promised to close the "loophole" created by the Conservatives' fixed date election law, which allows unlimited spending in the run-up to a pre-determined campaign. The platform promised to ensure that spending between elections is subject to limits and also to review limits on how much parties can spend during elections. It did not make any specific mention of third party spending during elections. The third parties in the 2015 campaign included a number of progressive groups who advocated strategic voting to defeat Harper's Conservatives, as well as some individuals. Their spending ranged from as little as $136.66 to a high of $431,640. Let's Build Canada, a coalition of building trade construction unions advocating for public investments in infrastructure: $428,975. Canadians United for Change, a union-linked organization: $425,462. Public Service Alliance of Canada: $390.236. Friends of Canadian Broadcasting: $332,687. British Columbia Nurses Union: $256,872. Canadian Union of Postal Workers: $208,572.